Leyland cypress (often called leylandii) is one of the more spectacular evergreens, and also a very useful one for gardeners. Its tall, columnar shape and fast growth make it ideal if you want to create a hedge or privacy screen. This is one of the most versatile trees when it comes to changing the look of your yard, or creating a secluded area to relax out of the wind and public view. Interested in transforming your property? 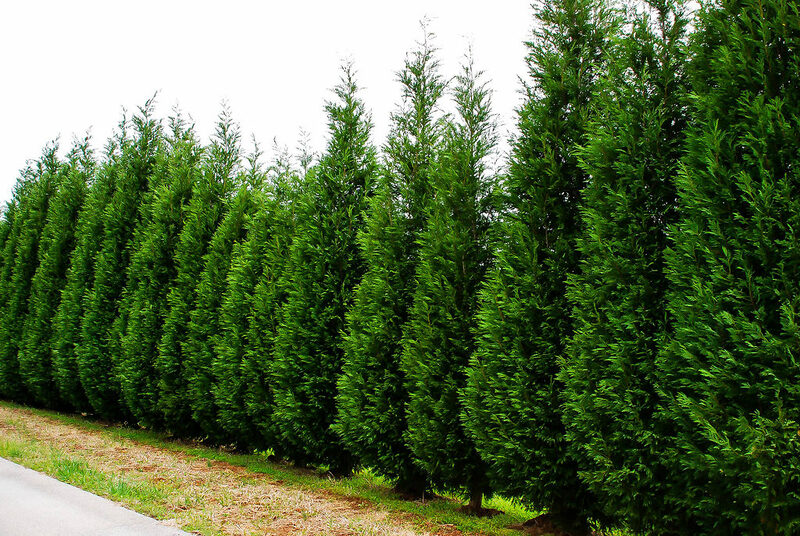 Here’s how to grow Leyland cypress trees. The good news is that these are not hard trees to grow. They’re tolerant of many different soil conditions and can stand cold weather – you can successfully cultivate them in USDA hardiness zones 6 to 10. If you pick the right spot you’re already half way there. Ideally look for somewhere that’s well drained but moist. Fertile soil with lots of organic matter is best, but if the spot you’re thinking of doesn’t match up to that you can still go ahead; a Leyland cypress will handle quite poor soil too. Your Leylandii will prefer full sunlight, but it’s not essential – and in any case its rapid growth means it will soon climb into the sun pretty much wherever you plant it. Full shade should be avoided if possible, because it will lead to slower growth. It can also stress the tree and make health problems more likely. Try to find somewhere that gets at least some sun, and if possible make it early in the day. Once a Leyland cypress is established, routine care really means watering. They don’t need too much of it either; as long as the soil is moist to within a few inches of the surface you can leave it alone. If you get a long spell of dry weather some water will be needed, though. You should water deeply, giving it time to sink in and watering enough to moisten the soil all the way from the surface to the lower roots. This is where drainage comes in though – you don’t want saturated ground, because leylandii can be susceptible to root rot. Apart from root rot the main disease problem with Leyland cypress is canker. The most dangerous is seiridium canker, which can affect almost any part of the tree above ground. It usually appears as sunken patches on the bark, which can be brown or a purplish color. Often large quantities of resin will be flowing around the affected area. The only remedy for canker is to prune away the affected parts and destroy them immediately – spores from the canker can spread through the air, so burn them before they get a chance. Leylandii are quite resistant to pests, but they are sometimes infested by bagworms. Despite the name these are moths, and they can do a lot of damage to a tree by feeding on its foliage. Check regularly for any signs of them, and if they’re found look for the pupae that the caterpillars spin while they transform into adults. These can be picked off and destroyed. For a large tree, however, you’ll probably need to use insecticide. Despite their impressive size and growth rate Leyland cypresses are among the easiest trees to grow. Keep them properly watered and check for pests and disease, and they will grow vigorously into a striking feature.